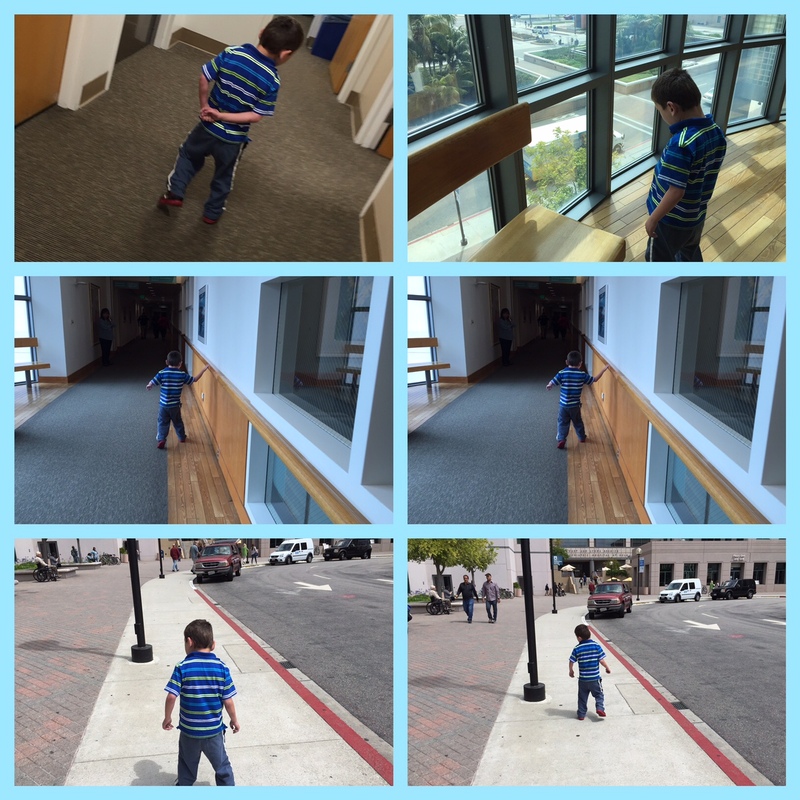 It’s been awhile since I (Rolf) posted on the blog, but since I did the run with Rudy down to the UCLA Transplant Clinic, we figured I should provide the update. With the end of the school year upon us, it seems like there’s some activity or event every day. 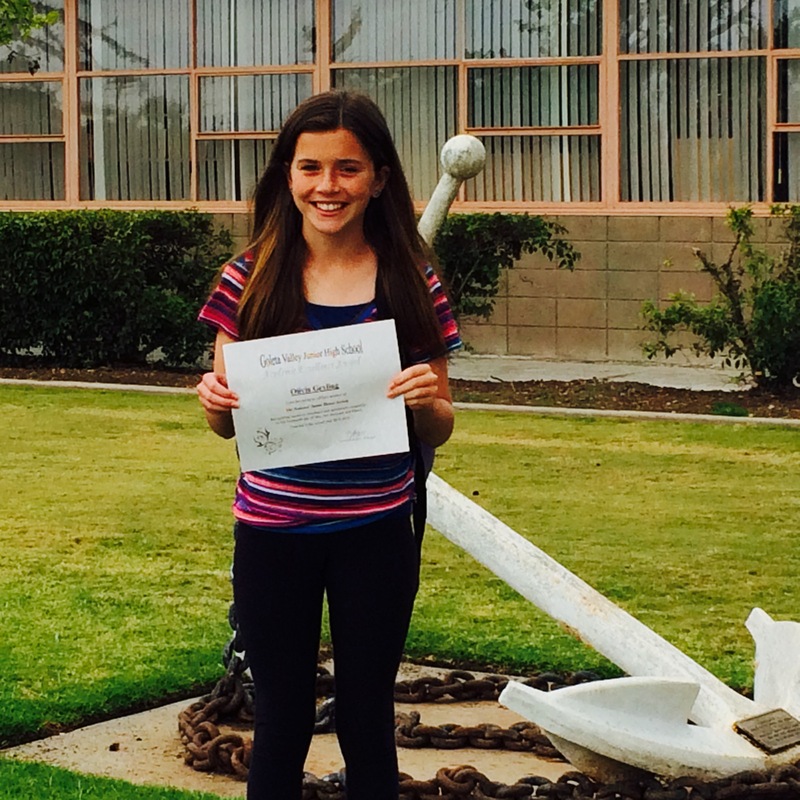 Thursday it was Livy’s turn as she got inducted into the National Junior Honor Society. Trish stayed home for that and Rudy and I rolled out of town shortly after 5am to make it to UCLA for an 8am appointment. Not long after we were underway, I realized that the CD case wasn’t in the car, but Rudy wasn’t bugged because his recent favorite–“Hola!” a Spanish-language Kid’s album of songs about the sea–was on board and entertaining us. Enjoyable for both cultural and education purposes for a listen or two, but assuredly crazy-making by the fourth repeat (“Yo soy un pi-ra-ta! Yo soy un pi-ra-A-A-ta!!) (“Cuantos peces diferentes colores hay en el mar?” How many different colors are the fish in the sea? EVERY BLASTED COLOR! !–and there’s a verse for every one of them!!!) My subconscious desire to bring an end to this caused me to accelerate faster than I normally would as was pointed out by the law enforcement official who pulled me over. Full disclosure: I’m ashamed (but admittedly relieved) to report that my smiling son singing his Spanish fishy songs in his wheelchair spared me a pretty expensive ticket. During the traffic stop, I was able to locate the only other CD in the car–Olivia’s Taylor Swift–and begged Rudy for a switch to even this, but “Hola” remained the soundtrack for our day. Rudy stayed nice, still and happy for his ECHO. After that, we went to the exam room to wait for the doctor. Nurses were apologetic as they kept us posted. 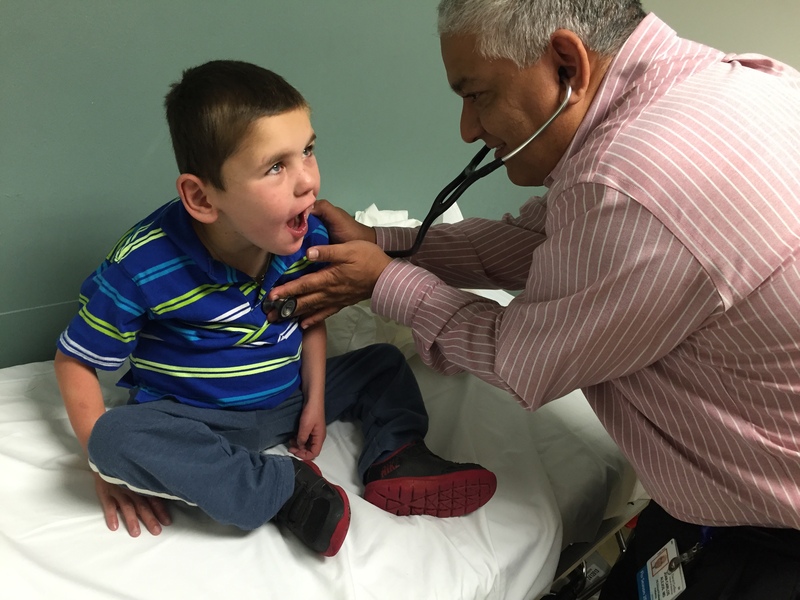 When Dr. Alejos came, Rudy held the door closed and giggled when he couldn’t get in. When he did let him in, Dr. A took a look around the trashed room and said, “This provides us with most of the information we need about how Rudy’s doing.” He did go on to do a thorough review of meds, recommended a few changes because of Rudy’s weight gain (he just broke 40lbs–yay!) and filled in history since our last check-in. We then talked through the Echo report on the computer and he liked what he saw. The heart function looks good with very little valve leakage. While Rudy has been previously classified as “Moderate Heart Failure”, Dr. A would still categorize him as “mild” (or maybe “mild-plus”). After a quick listen, he pushed out the date of our next clinic visit to six months–no need to come back sooner. Rudy knew it was time to go and before I could get his stuff picked up and his chair ready, he had already given Dr. A and the nurses his “See-Ya”s and headed down the hall. Wouldn’t get into his chair (“no! no! no! Dad!”) in the lobby or by the elevator and walked all the way out of the building. 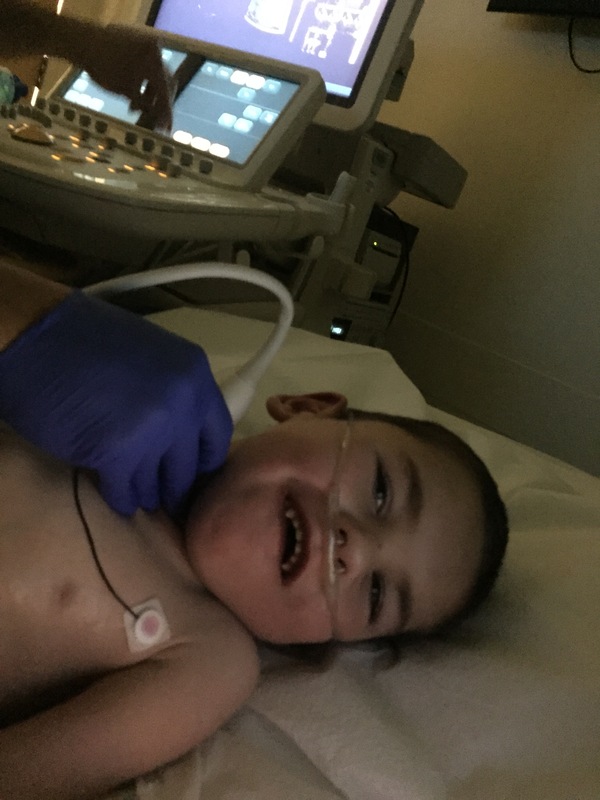 “Saw Rudy had an ECHO today here at UCLA – the stent we put in his aortic coarctation continues to look great with no significant gradient and his RV function has not changed much (still fine) but he has less hypertrophy in his heart since the stent and less tricuspid valve leakage (both good things). His Sano with all those stents in it is still open but very small compared to his heart now. Right atrium is big but not bigger! How is he doing? Were you seen by someone today? Let me know if I can help with anything – just looking at his ECHO made me happy and hopeful so I wanted to e-mail you guys! So, a pretty good check in and report. As we’ve been so amazed at Rudy’s stamina and progression, it is comforting to have the internal report be consistent with this. We’ve had our share of the more confounding “not sure exactly why he’s doing as well as he is based on what his heart looks like” consults. Rudy and I headed home and I can report that I did much better at obeying traffic laws (but the traffic and rain likely had a lot to do with that). There’s much excitement to come in the next month and we’re so glad Rudy is at the point he’s at to really enjoy it. Stay tuned! Those days, my only source of sanity was the 20 seconds (Tony would naturally count out loud, “One-thousand one, one-thousand two…”) before he would say,”Mom, can you please turn on the Raffi tape? So glad that Rudy is doing well and that you escaped that ticket! Must be the special grace bestowed for hours and hours of mind-numbing music. Rolf, I must say that both you and Trish are phenomenal writers. Thank you for giving this stressed-out, middle of May-madness Mom a laughter induced stomach-ache. I gotta admit, this one made me cry. Very happy tears, I might add. Such sweet news – and I’m so relieved for all of you. Continuing to hope and pray for whatever comes next for him and for all of you. Congrats to all the grads and winners in your house!! AWESOME NEWS ND AWESOME PHOTOS. So glad Trish got a break from these stressful appointments and you returned with happy news. 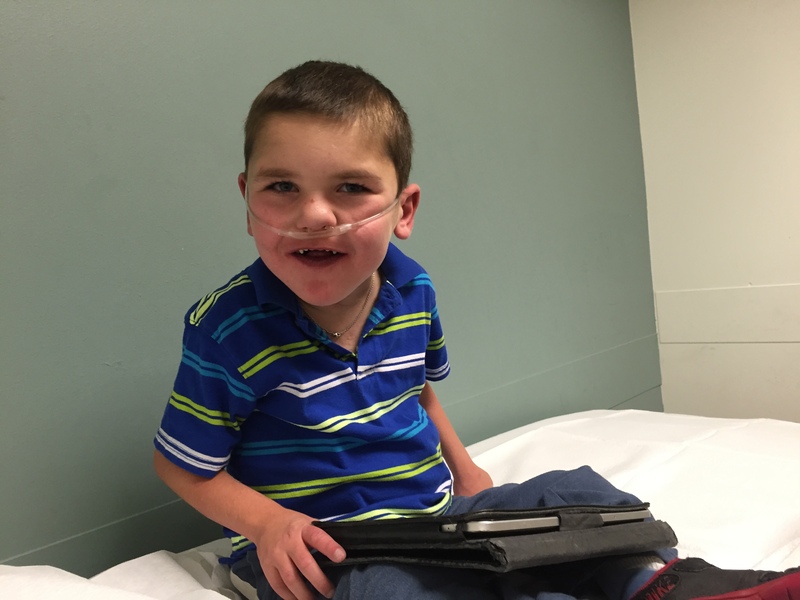 Big love to Rudy… His tremendous smile can get him and also you out of many predicaments. ;0) ATTA BOY RUDY! Awesome report on Rudy! I’m cringing just thinking of the Spanish pirate song playing over and over again. Get it! 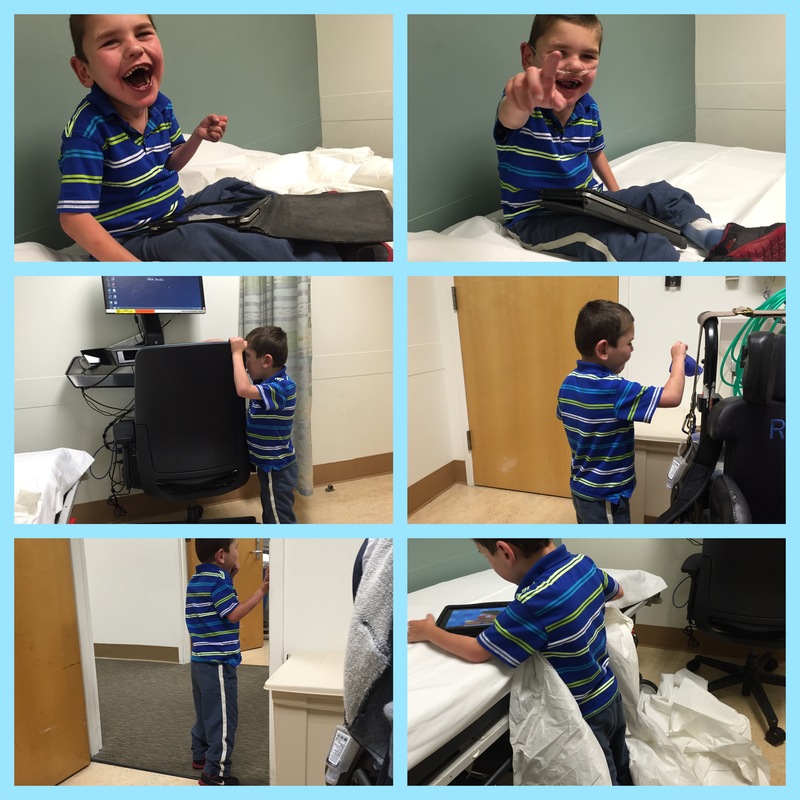 Who knew that making a huge mess in a doctor’s office would be cause for celebration, but it is!! Perspective! That’s what this blog post did for me today! Love to all the Geylings and excited for all the fun things to come for everyone! Oh my goodness! Laughing out loud! from Spanish CD 10 times to the room after an hour and walking out by himself! So funny! And glad to hear he’s been upgraded!